A lot of the hype that normally comes with the Plus-sized releases has been stifled when it comes to the poor iPhone 8 Plus. Being announced in the shadow of the larger and, frankly, more impressive iPhone X may well hurt its reputation, and the recent news about the iPhone XS and iPhone XR range has all but quenched its hopes. That said, there's a valuable role that the iPhone 8 Plus plays, particularly considering that the price sits at the midpoint between its smaller iPhone 8 brethren and the oversized 10th anniversary edition handset. For more detailed info, check out our iPhone 8 Plus hands-on review. So if it's more expensive than the iPhone 8, but less pricey than the iPhone X, how much exactly will the Plus-sized flagship set you back? Read on to see the best plans with all the major carriers, whether you're after big data, best budget option, or just the best overall value. At present the iPhone 8 Plus in the 256GB storage configuration is completely out of stock across the board. It's likely to stay that way too as Apple moves to favour the iPhone XS and iPhone XR. 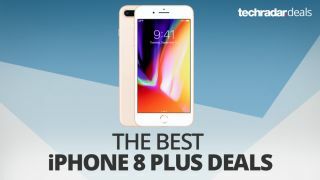 Similarly, the 64GB model isn't available at Telstra, so you'll have to go with either Optus or Vodafone for your major carrier needs but, as is usually the case, Optus is offering a much more competitive array of plans. Regardless, below are the best deals you can get on the 64GB model.